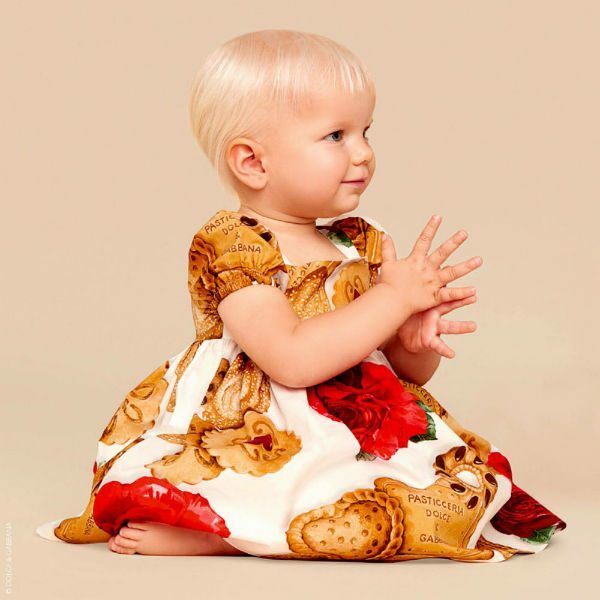 Love this super cute DOLCE & GABBANA Baby Girls Biscotti Rose Dress Set. This adorable party dress for baby girls from the Spring Summer 2018 Collection is designed in fine white cotton with exclusive beige biscuits and red roses print. 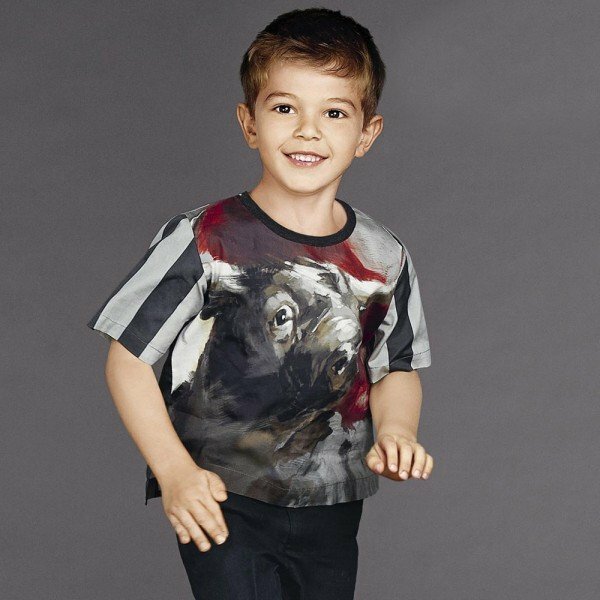 Mommy & Me Look Inspired by the Dolce & Gabbana Women’s Runway Collection at Milan Fashion Week. This gorgeous puffed-sleeved Biscotti Rose Dress comes with a matching diaper cover.